Let your kids walk through famous monuments of the World! With Kids on World Tour, children have a blast knowing the amazing 18 monuments across the globe in this exciting, educational and interactive app. 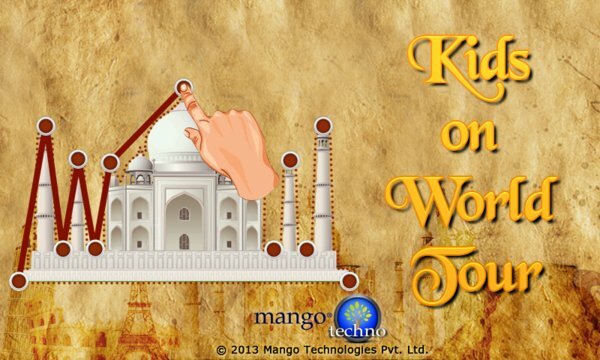 Kids on World Tour takes advantage of the “Connect The Dots” game that improves children’s brain development, yet modernizes it with colorful, entertaining images and fun info of famous monuments in the world. Children learn interesting facts about each monument. Parents will be pleasantly surprised when their child knows the monuments in unique and fun way. Playing Kids on World Tour is Easy! ★ Once children tap or connect the dots that outline a monument, numbers or alphabets are pronounced. ★ After all the dots are connected, they transform into a colorful monument image with interesting facts.